This console is absolutely the most fun I've had in a while. I'm seriously collecting nowadays and this console was a great place to start. The games are cheap and of great quality. I would recommend buying this system in any color (there is the option!). When I opened it on Christmas and turned it on I felt like I was in my own little world. Got my Gameboy in just under two weeks shipped from the US to Australia. Plays like it did nearly 20 Years ago. Thanks Lukiegames will be purchasing more!! 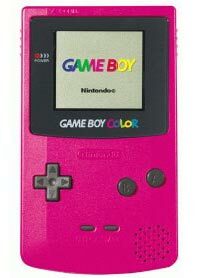 Bought this Game Boy Color mainly so I could play the old Pokemon games. What a bargain! Lukie Games handled this so well and I am extremely satisfied. Great blast to the past. 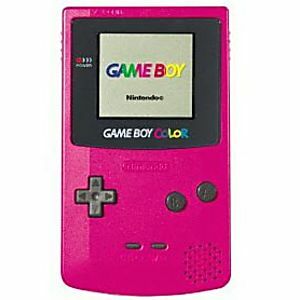 I just got my Pink Game Boy Color, i love it, it works perfect, the screen is also perfect no scratches. The only thing is the i would like to buy the worm light but lukie games doesn't sell it.